Death penalty: President Obama indicates that he is getting closer to opposing the death penalty. 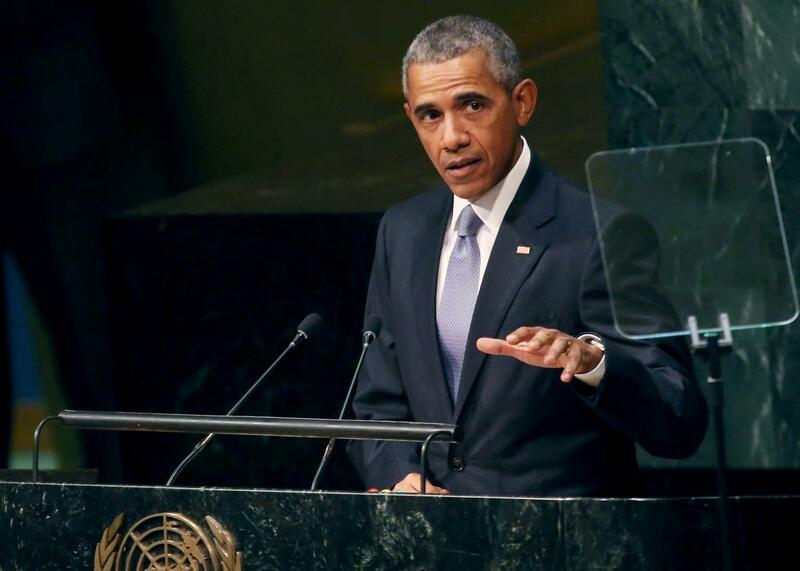 President Barack Obama addresses the 70th annual United Nations General Assembly at the U.N. headquarters on Sept. 28, 2015, in New York City. President Obama has memorably talked about his changing views on gay marriage in terms of an “evolution” in his thinking. Could it be that the president is going through a similar evolution on the death penalty, which he has always publicly supported? In an interview published Friday, Marshall Project editor Bill Keller asked Obama whether it was true that he was “close” to declaring his opposition to capital punishment, as his former mentor and Harvard Law School professor Charles Ogletree asserted in a recent interview with the Washington Post. Obama stopped well short of saying yes, but the thought process he outlined betrays an obvious skepticism about the death penalty, at least as it is carried out in the United States. We know, statistically, that there’s a racial bias that’s been built into the death penalty. We know that it is hugely inefficient and takes a long time. We know that there are people who have been on death row that have been freed, because later on it’s been proven that they were innocent. We know that in the application of the death penalty we’ve had recent cases in which, by any standard, it has not been swift and painless but rather gruesome and clumsy. And all of this, I think, has led me to express some very significant reservations. Obama said he has asked the Department of Justice to look into the death penalty and that he is “taking a real hard look at it” as he pursues other reforms in the realm of criminal justice. An evolution on capital punishment from Obama would come in the wake of a year that saw the pope forcefully condemn the practice in front of Congress, and Supreme Court Justices Stephen Breyer and Ruth Bader Ginsburg unambiguously assert that they believe it to be unconstitutional.